Sponsored by the Institute for Psychological Sciences, a groundbreaking graduate school focused on integrating Catholic anthropology with clinical psychology. This lovely autumn walk included delicious Village and West Village restaurants, ending with a lunch at the group’s favorite place seen on the tour. Sponsored by the Young Alumni Council. For more details on the event, see TRACES Online here. Adam and Andrea Melia are a compellingly fresh young duo from Nashville, TN. They capture the unique energy of current American styles, while giving a joyful nod to the funds of the 50s, and 60s. Adam & I make a music all their own. The duo formed in 2011 and started releasing their music for free via NoiseTrade. The Catholic Center at NYU hosted Clila and Hadasa Bau, daughters of Holocaust survivors Rebecca and Joseph Bau. 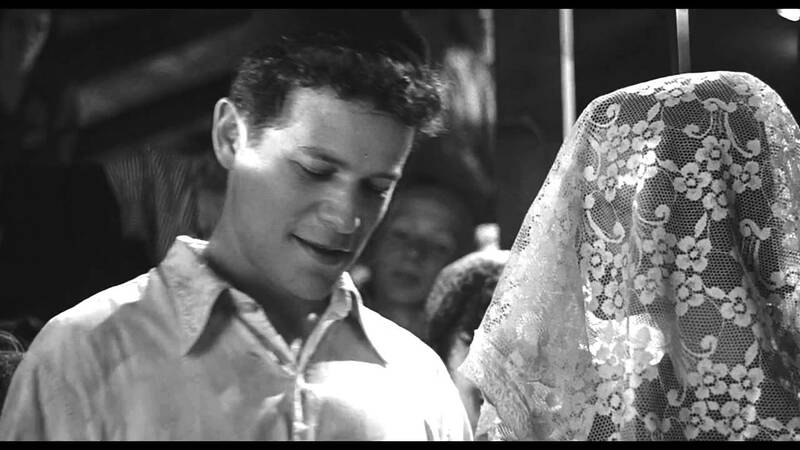 Rebecca and Joseph Bau are the original couple whose wedding is featured in the film, Schindler’s List. They met inside the Plashow Concentration Camp and Joseph smuggled himself, disguised as a woman, into the women’s camp so they could be secretly married. Joseph, an artist, and Rebecca, a nurse and beautician, worked secretly to save hundreds of lives. In 1950, Joseph went on to have a successful career as an artist, graphic designer, author and poet, including a book about the humor and logic in the Hebrew language. The Bau sisters will be speaking about the many extraordinary events that happened to their parents, during and after the Holocaust. It is a story of love, courage, hope, humor, and saving lives. They will also show some of Joseph’s art work. To learn more about them, visit: www.josephbau.com. Weronika Janczuk, Director of Education for the World Youth Alliance (WYA), led an inspiring presentation on FEMM: Fertility Education and Medical Management. Learn more about FEMM, the women’s reproductive healthcare that is revolutionizing how doctors and patients approach wellness—with informed choice and treatment options within the context of overall health at www.femmhealth.org. September 3rd | The Newman Club hosts a “taste of the village” with food from local favorite eateries. Conversing Conversion explores the 500th anniversary of the birth of St.Philip Neri (July 21), the 750th anniversary of the birth of Dante Alighieri (May – June), and the 1000th anniversary Kievan-Russian martyrs SS.Boris and Gleb (July 24). This conference covered the historical and spiritual importance of the Greatest Poet in Italian History, the Eccentric Conversationalist of the Counter Reformation, and the First Kiev-Rus Martyrs. An evening of prayer and conversation with Archbishop Jean-Clément Jeanbart of Aleppo, Syria. As guest of Aid to the Church in Need His Excellency visited the U.S. to raise awareness of the plight of Syrian Christians and the suffering of Churches throughout the Middle East. He told the story of a flock trapped in a brutal civil war and threatened by ISIS and other jihadists. The evening began with a brief prayer service at 5:15pm and a talk by the Archbishop, followed by refreshments and an opportunity to meet and speak with the Archbishop in person. See past events from 2014 HERE.